Estancia de los Ríos is located on a 360,000-acre ranch. Here you can enjoy dry fly fishing all day without seeing a soul. 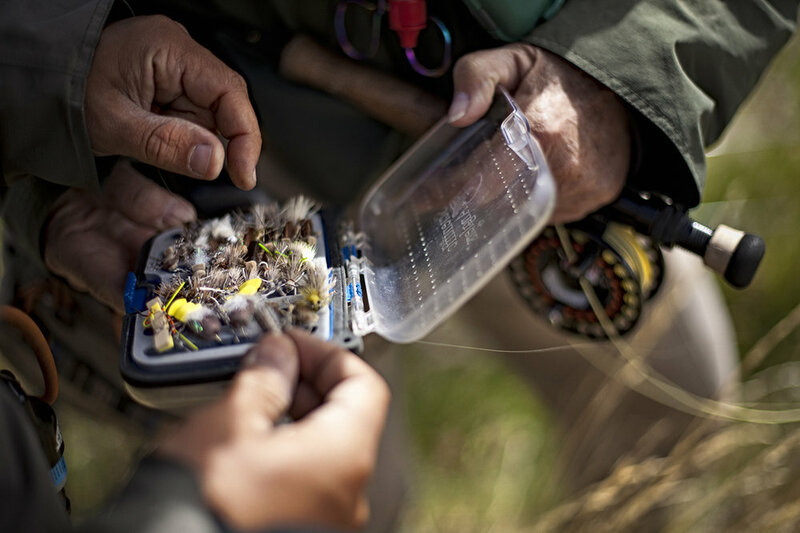 More than 60 miles of rivers inside the ranch allows you to fly fish different water every day. fly fishing is the preferred and most effective method to land a trout at this location. 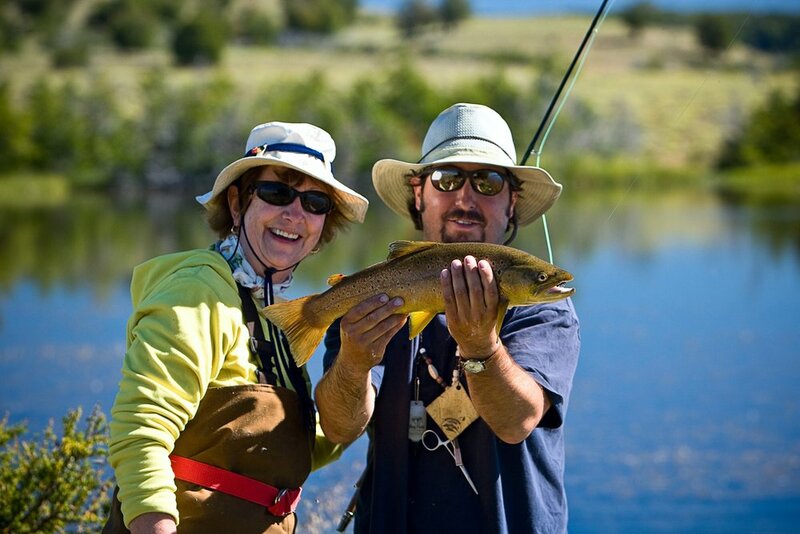 The variety of fishing environments provide spectacular waded and float fly fishing alternatives within the ranch. Located in the heart of Chilean Patagonia a few hours from the city of Coyhaique. 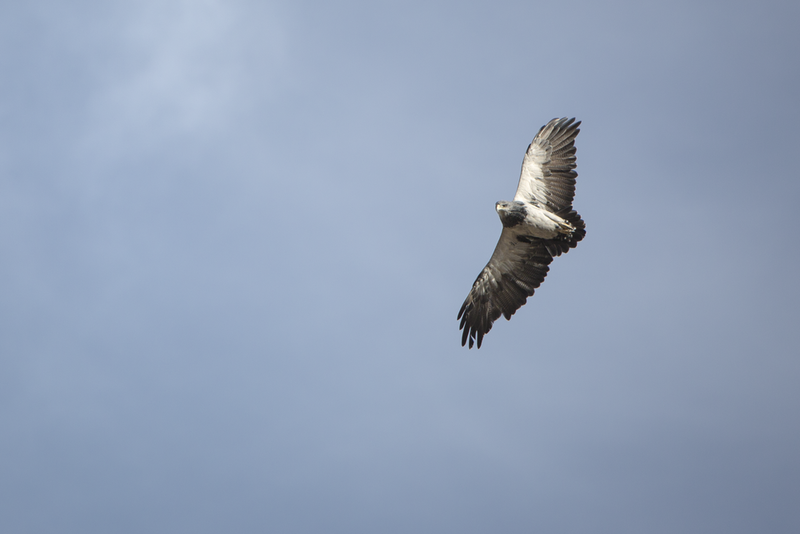 Estancia de los Ríos is a place of spectacular beauty offering an immersion in the enormity of Chilean Patagonia. 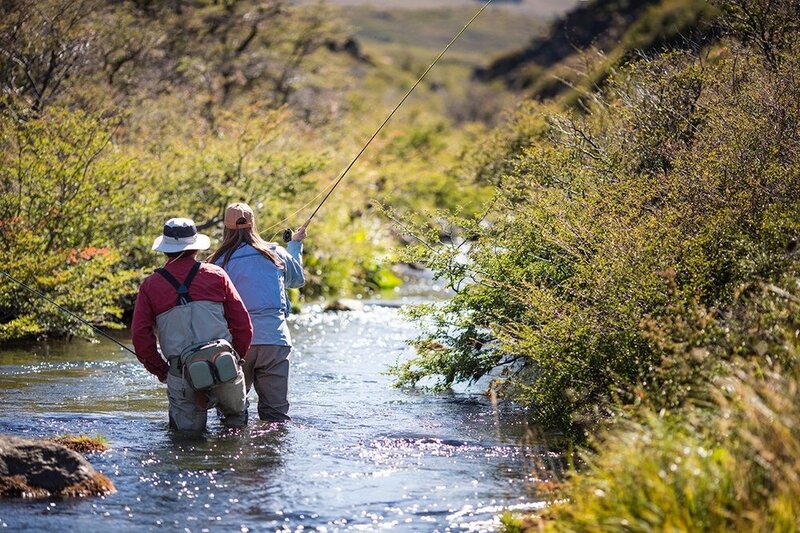 Professional bilingual guides and fly fishing instructors, attentive staff, exquisite cuisine and selected fine wines of Chile make this fly fishing trip to Patagonia an unforgettable experience. Hosting up to 12 guests per week in extraordinary style and comfort. The lodge has 6 double rooms with private bathrooms all with gorgeous vistas to the mountains. 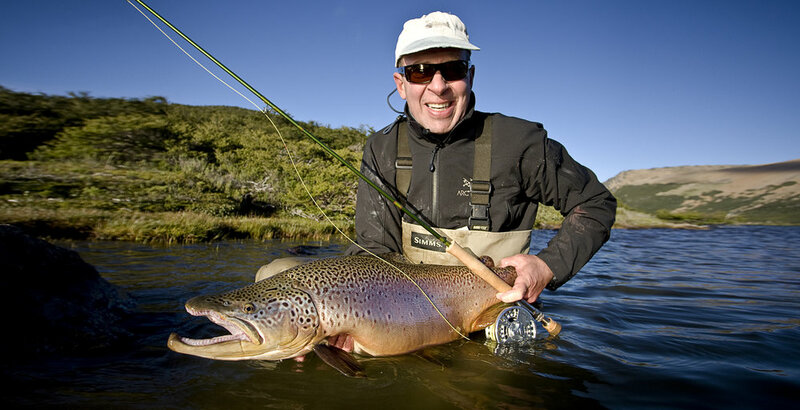 The lodge is located just a few miles from the Argentine Chile border which allows combination with fly fishing excursions in both Argentina and Chile. This lodge is ideal for families or small groups. Saturday: In Santiago, Chile, board the first available flight to Coyhaique (Balmaceda airport), this is either a direct 2:20 min flight or a 2:50 min flight including a 30 min. stopover in Puerto Montt. On arrival in Coyhaique, one of the lodge´s representatives will be waiting for you outside the baggage claim area. Guiding you to your vehicle and driving you to the lodge. 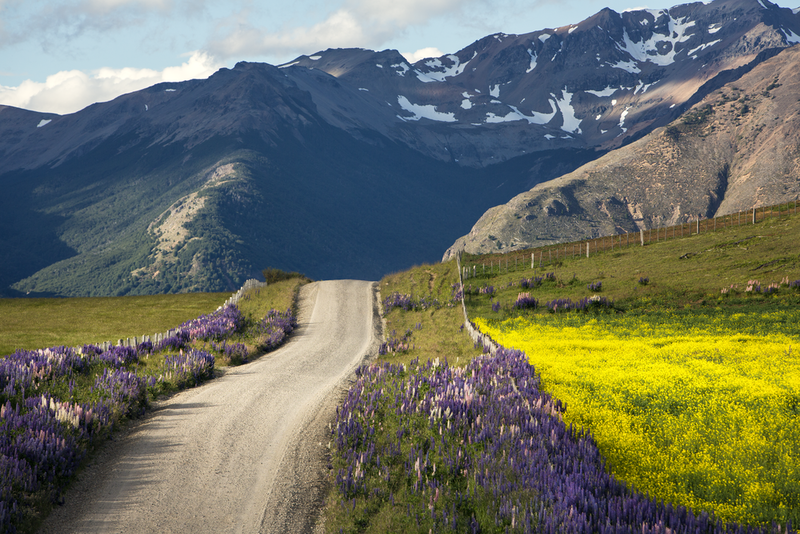 This is a beautiful drive North along the Austral road, Chile's most scenic route. 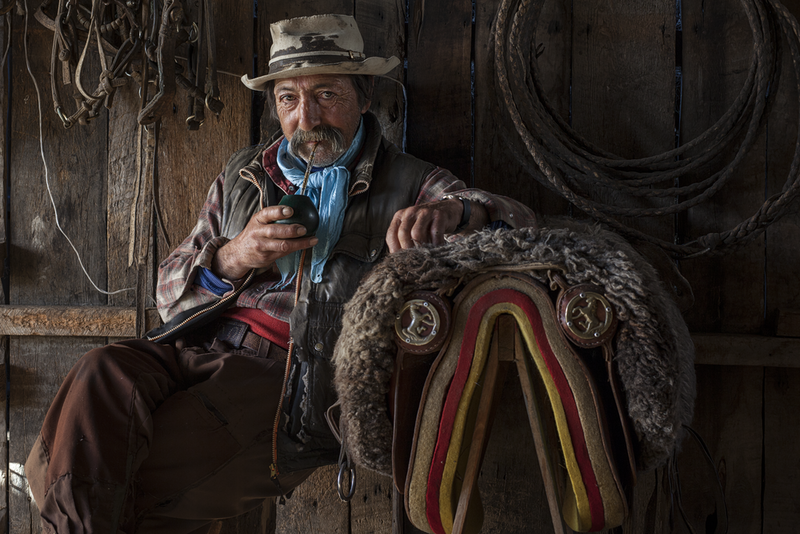 We will drive through typical villages and andean valleys where you will see a glimpse of the lifestyle of the inhabitants of Patagonia. An early direct flight out of Santiago allows you to arrive to the lodge in the afternoon, on time to enjoy a fishing session. 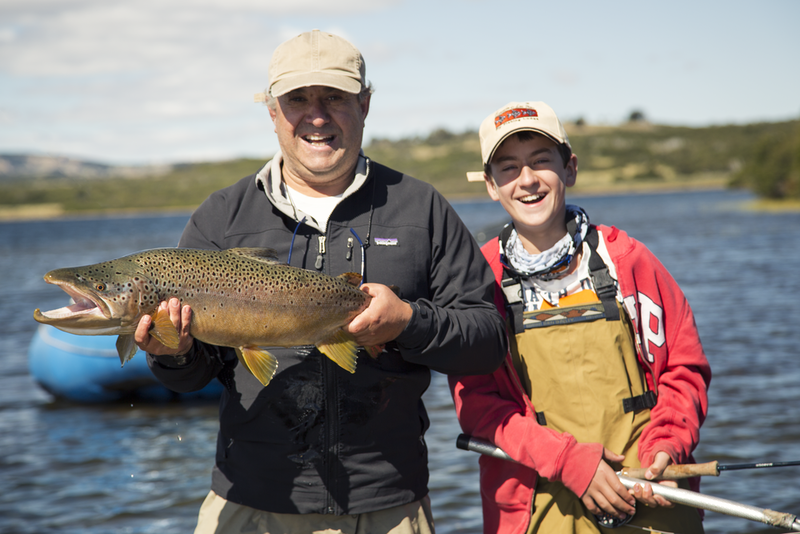 Your guide will take you fishing to one of the sections of river closest to the lodge. After great dry fly or nymph fishing, we go back to the lodge where you are greeted with a welcome toast with "Pisco Sours", a typical Chilean drink. After a hot shower, dinner follows complemented with the best Chilean wines. During dinner the head guide will explain the plans for the next day. After an early breakfast guests join their guide at the muddroom, then a short drive to the river. We usually fish our way upstream since we use mostly dries and nymphs. This river has a healthy population of Brown trout and excellent hatches. A good fish weighs from 2 to 5 pounds. Fish take the fly eagerly but delicately. Your guide will show you what to look for in order to locate fish. Once you've mastered your eye, you will be amazed at how many fish you will be casting to. The challenge here is to spot the largest fish within your range. 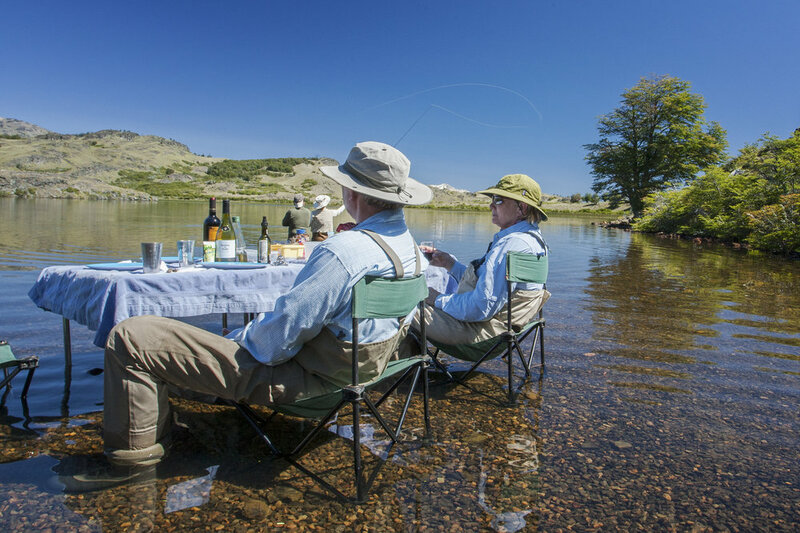 After a good morning's fishing and depending on weather or your preference, we can return to the lodge or have a stream-side lunch. 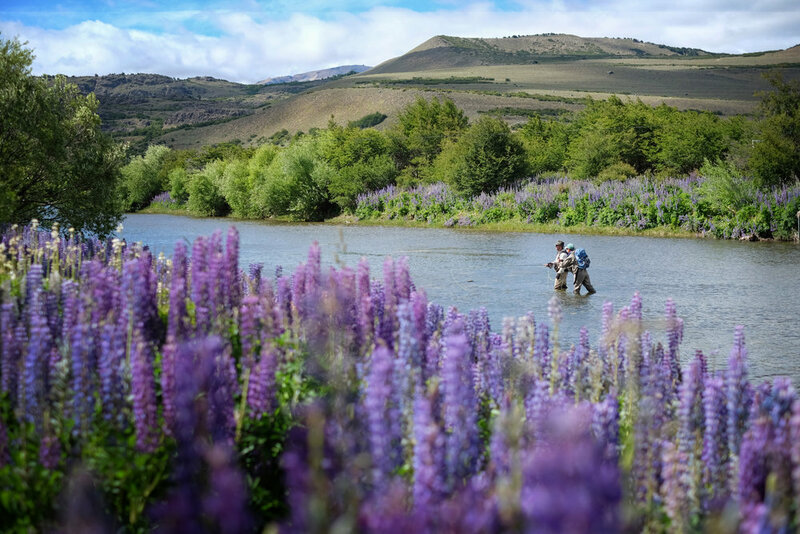 Sitting in your chair under some trees, contemplating everything around you and finally hits you, you are actually fly fishing in Patagonia ! you have not seen a soul all morning while fishing almost two miles of river, all this beautiful water just for you, great ! you look up and see strikingly bright clouds moving against a deep blue sky which seem much closer than usual, you cannot believe the clarity of the air and the intensity of the colors. Below, brightly colored lupines and intensely green grass dance softly with the warm breeze. It is really difficult to take it all in at once but one thing is certain, you are very fortunate to be here having so much fun, surrounded by so much beauty and to top it off it is winter in your part of the world! Your day will continue fishing a nearby spring creek and then to the main river to for the main hatch. 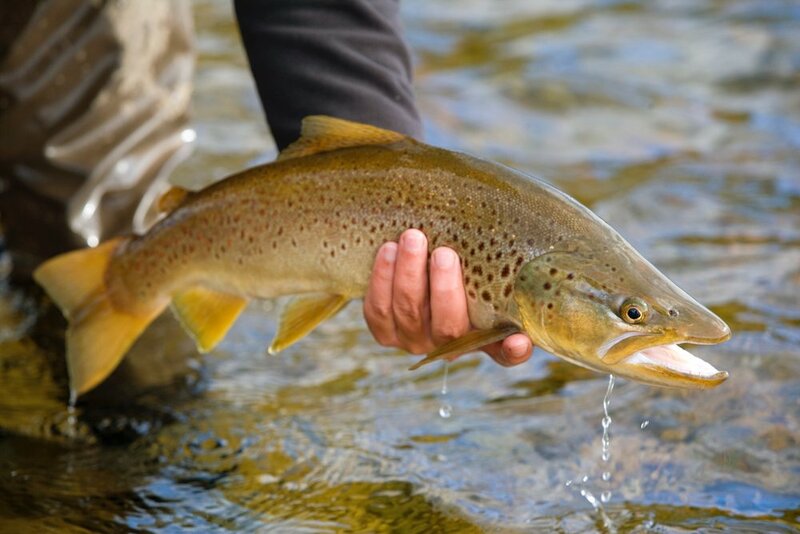 As you well know, spring creeks require more patience and delicate work but they can be extremely rewarding as there is nothing like sight fishing and hooking a large trout in a gentle and peaceful setting. 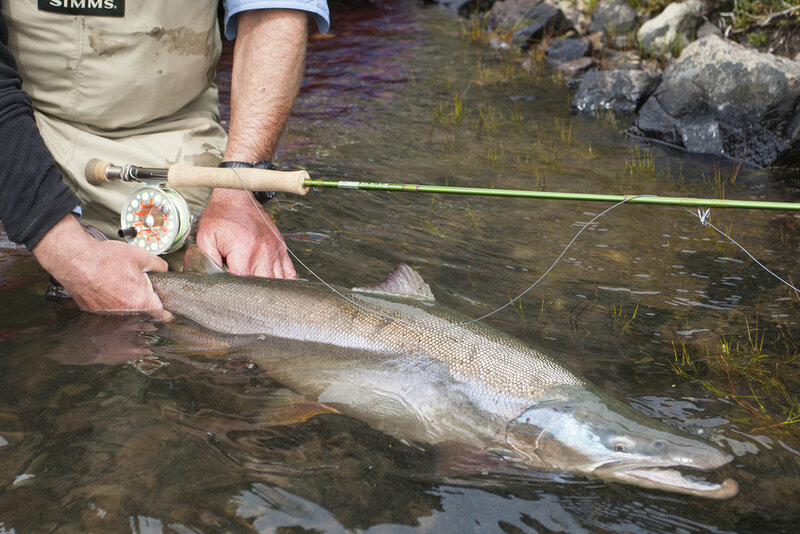 The hatch on the main river is always exciting, suddenly the river comes alive with fish feeding on the surface; when this happens, you want to be close to the largest fish and with the right fly at the end of your line. This is why observation of both the insects and the fish is paramount. Last summer during the hatch, our good friend Claudio hooked and landed four beautiful Brown trout between 3 and 5 pounds, all on dries, in a little more than an hour. After the hatch is over, we head back to the lodge, joining the rest of the group for cocktails, dinner, and fresh fishing stories. Saturday: Departure. After breakfast a lodge vehicle will drive you back to the Coyhaique airport (Balmaceda) arriving on time for your flight to Santiago and your connection flight home. 2:20 min direct flight or a 2:50 min flight with a 30 min. stopover in Puerto Montt. 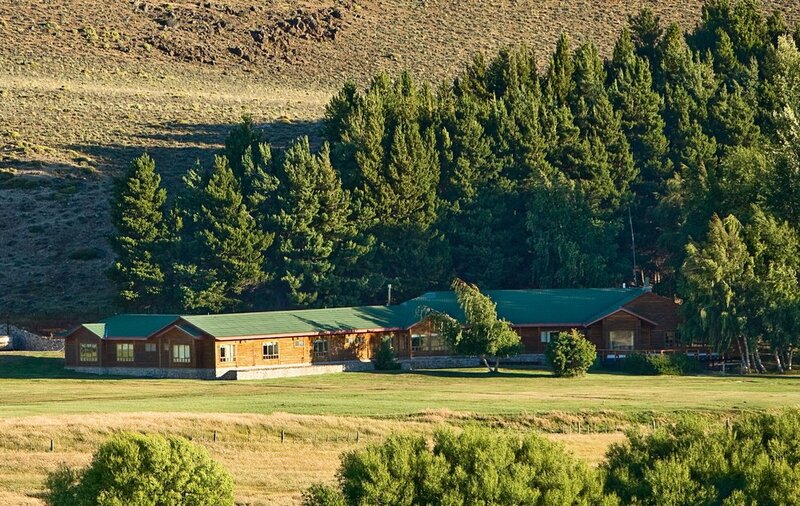 In Coyhaique, one of the lodge´s representatives will be waiting for you and drive you to the lodge. This is a beautiful 4:30 min drive North along the Austral road, Chile's most scenic route. You will drive through typical villages and andean valleys where you will see a glimpse of the lifestyle of the inhabitants of Patagonia. Saturday: Departure. After breakfast a lodge vehicle will drive you back to the Coyhaique airport (Balmaceda) arriving on time for your flight to Santiago. All meals, Breakfast, Lunch, Dinner. Non- Alcoholic beverages, beer & wine at Lunch and dinner. Pisco sours at cocktail time. Use of boats, horses or bicycles according to program. Land transfer between Coyhaique hotel and lodge. Land transfer lodge and local airport on departure. One night accommodation sharing a double room in Coyhaique hotel incl. Breakfast. Lodging and transfers prior to or after program. Use of fishing gear, flies, leaders, etc. Items of a personal nature such as telephone, laundry, gratuities. Meals, drinks in Coyhaique hotel, except breakfast. Other items not specifically mentioned as included. Reservations: In order to secure space, a 50% advance payment is required at the time of booking. The balance is due 90 days prior to arrival. Advance payments are non refundable unless the client finds a replacement. We strongly suggest early reservations due to limited availability. We also recommend cancellation insurance for your trip. Sorry, no credit cards.